Pairing candy with an early construction toy is inherently – and sweetly – reinforcing. Save 15% on this week’s Pick of the Week, the Candy Construction Building Set by entering in the promo code BLOGCNDY4 at checkout. This set of swirling peppermints, chocolate panels, purple gumdrops, and licorice sticks encourages young learners to develop fine motor skills with creative constructive play. This construction set comes with 92 chunky, durable pieces, as well as an Activity Guide with illustrated, step-by-step directions, so that young learners can nurture their fine motor skills while exercising creative and problem-solving skills with a variety of fun and familiar designs. This construction building set includes pieces that are self-correcting, fitting together in specific ways and allow children to work until they achieve success. 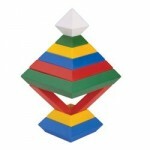 The Candy Construction Building Set is recommended for children ages 4 years and up. *Offer expires on July 2nd, 2013 at 11:59 pm EST. Not compatible with any other offer. Be sure there are no spaces after the Promo Code when you enter it at checkout. We’ve been hearing rave reviews of the WEDGiTS for years but it wasn’t until we had them in hand that we realized how unbelievable these building sets are. The WEDGiTS can be nested, stacked, linked, and wedged together to create hundreds of different designs from just 15 pieces. Building with these develops dexterity, fine motor skills, sequencing and patterning abilities, as well as visual discrimination skills. You can build as far as your imagination takes you with the Starter Set or you can supplement it with the WEDGiTS Starter Set Design Cards to maximize the challenge. The cards are for users of all levels from 2-piece constructions to ones that utilize all the pieces in the set. 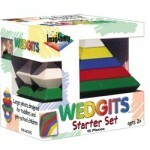 This week only, save 15% on the WEDGiTS Starter Set: 15 Pieces as well as the WEDGiTS Starter Set Design Cards by entering the promo code BLOGWEDG2 at checkout. *Offer expires on November 22, 2011 at 11:59 pm EST. Not compatible with any other offer. 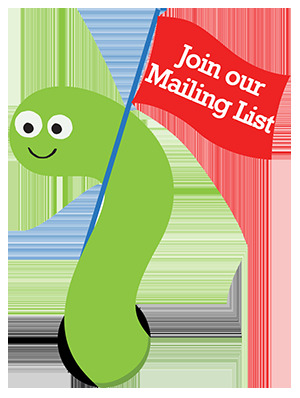 Be sure there are no spaces after the Promo Code when you enter it at checkout.